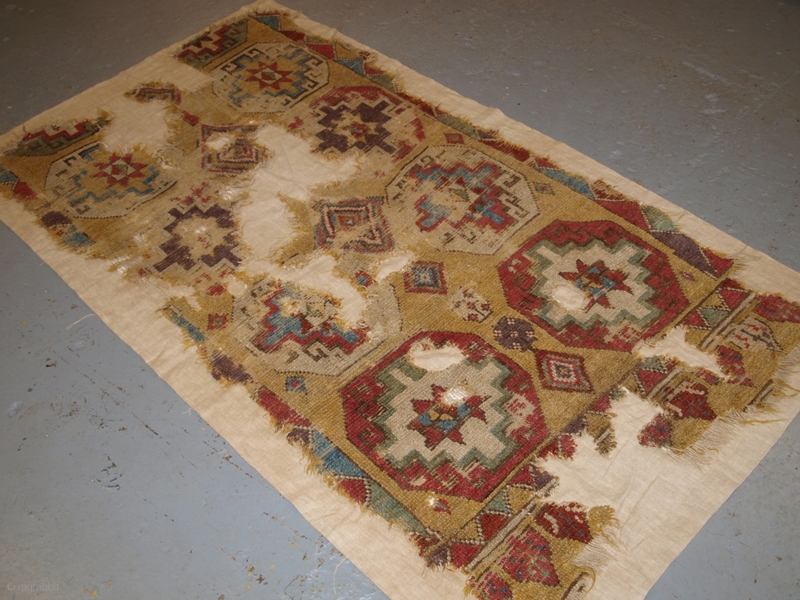 Fragment of a Central Anatolian Konya Region long rug simply mounted on linen. www.knightsantiques.co.uk Size: 6ft 2in x 3ft 5in (187 x 104cm). 1st half 18th century. A superb fragment of a very early Konya long rug with two columns of Memlinc guls in octagons. 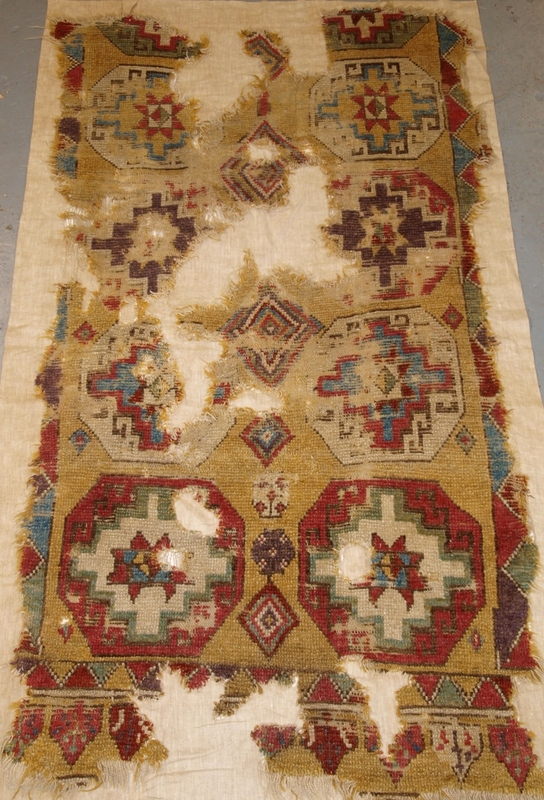 The rug would originally have been about 3 meters long so just over half of it remains. The yellow ground is typical of the period and the natural dye colours are really outstanding. The lower end retains the arrow head shaped lappets along with a good portion of the simple border. The fragment makes a good study item or an archaic wall hanging. Stock Number: h-240.